I knew as soon as I saw these adorable pumpkin erasers, I would need a fun counting activity to use them in the classroom. 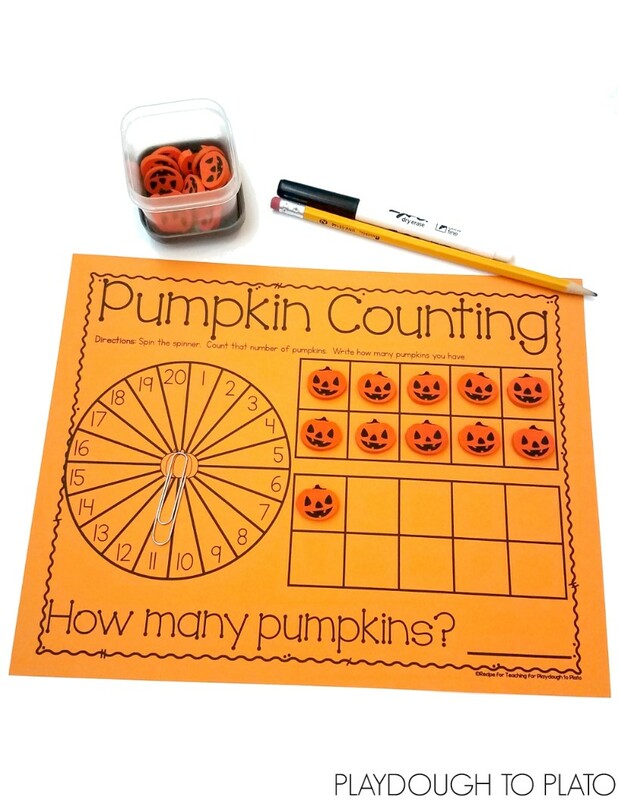 This pumpkin counting mat gives young learners practice with counting from 1-20 with a fun seasonal twist. 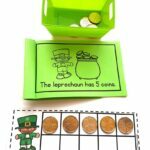 Scroll below to download your freebie, then hop over and snag our pumpkin counting clip cards for more fun. 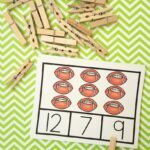 This pumpkin counting activity is super easy to prepare! I chose to print the download (found below) on orange cardstock and ran the mat through my laminator. I grabbed some of my pumpkin mini erasers, a dry erase marker and eraser, and a pencil and paper clip for spinning the spinner. 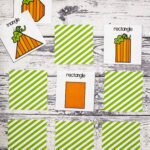 If you don’t have the pumpkin erasers from Target, you could use a different manipulative of choice or use the pumpkin printable cards included in the free download. We were ready for some pumpkin counting! For this activity, my students first spun the 1-20 spinner. The first number was 11. We counted out eleven pumpkins on the ten frames, making sure to start in the upper lefthand corner of the top box and move to the right, just like we read a book. The activity lended itself nicely to some great one-to-one correspondence practice. The last thing my students did was write the number to match their set of pumpkins. Since there were 11 pumpkins counted on the ten frames, the children wrote the number 11 on the line with a dry erase marker. Students repeated the process of spinning, counting, and writing until their time was finished. 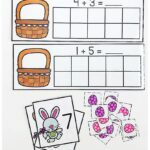 It was a perfect activity to use as small math group work, independent practice or as a partner activity. 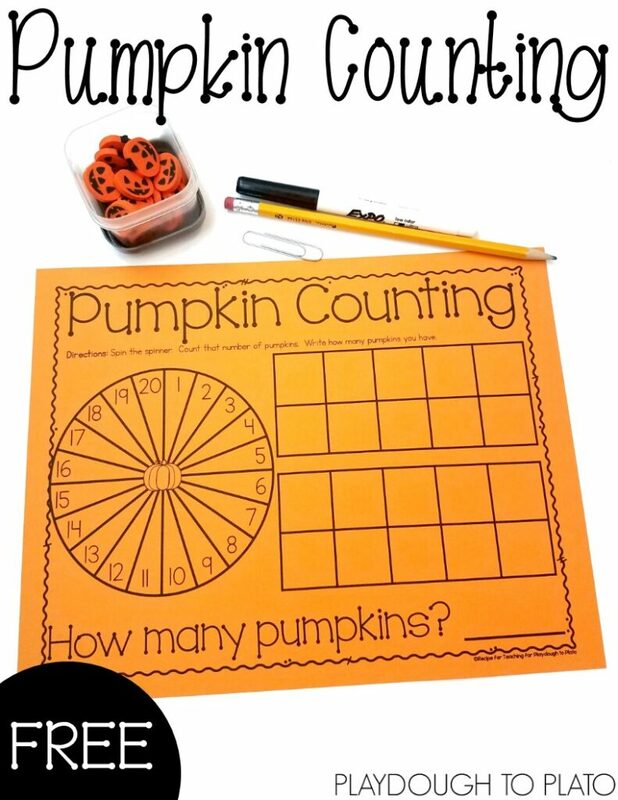 Ready for some pumpkin counting fun?! Just click the button below to grab your free download! 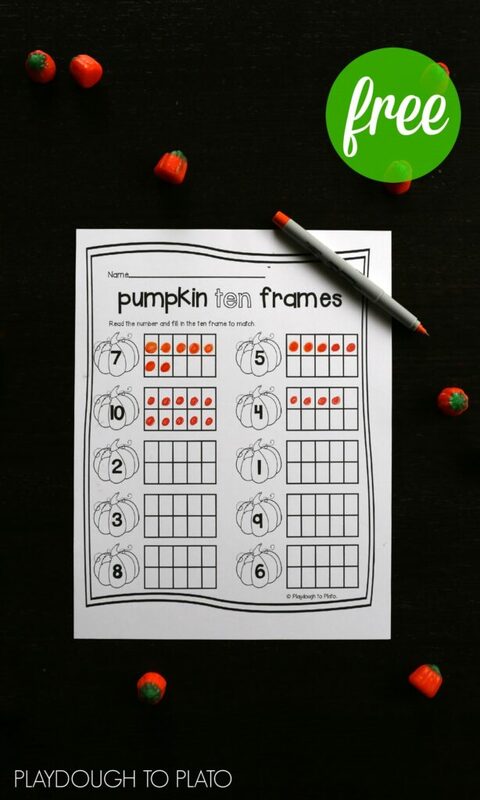 Then hop over and snag our Pumpkin Ten Frame for more pumpkin fun! 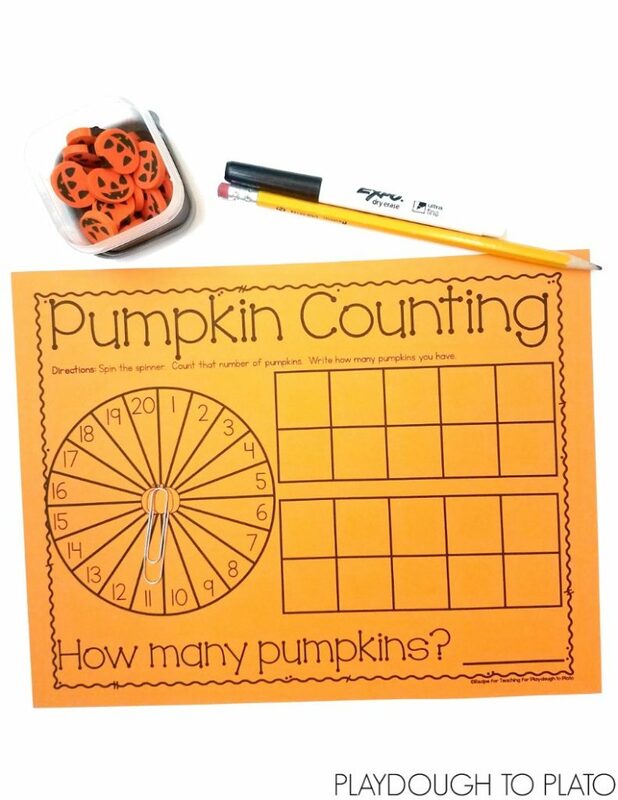 I can’t find your download for the pumpkin counting-spinner mat. It’s super cute! Okay, great! Glad you were able to locate it! 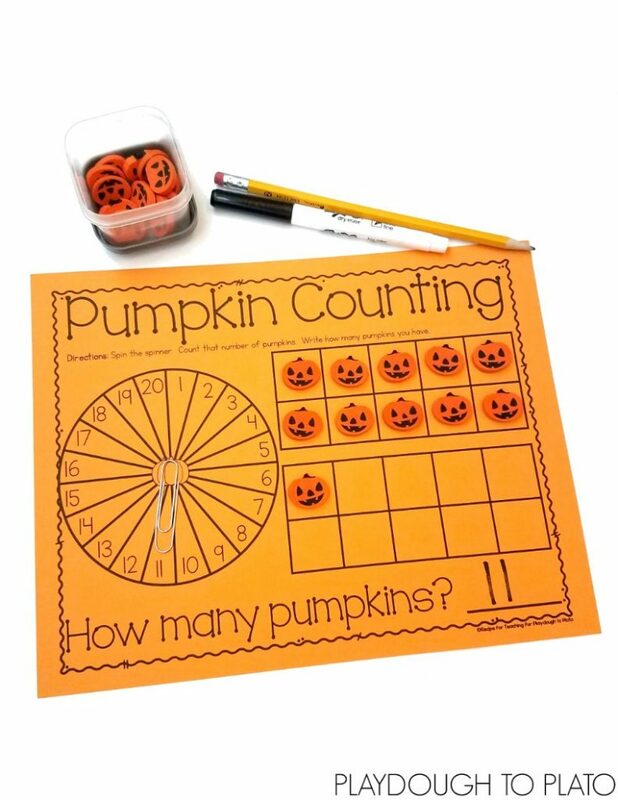 I love this pumpkin counting mat however I don’t have pumpkin counters. Do you have a more general version that I can use with my student using plain counters? 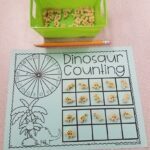 We don’t have a generic version of this counting mat; however, you can use this mat with any kind of counters. 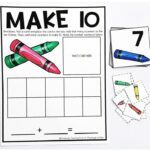 However, if you prefer not to do that, you may want to check out our Fall Number Puzzles or our Pumpkin Ten Frames – neither of which require counters. Thanks for reaching out! Unfortunately, we can’t edit it to just show 1-10. 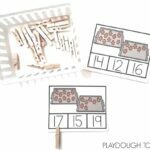 However, if you’d prefer to just focus on those numbers, you might enjoy our Pumpkin Ten Frames or our Falling Leaves Ten Frame Matching Game.